Seeing as XCOM 2 has recently been announced as the sequel to the remake of the original. I thought I’d look at the original game that started it all. 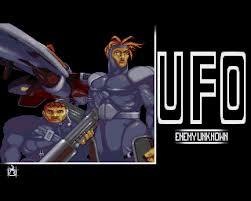 Little Bit of History: UFO: Enemy Unknown (called X-COM: UFO Defense in North America) was released in 1994 for DOS and Amiga. Originally planned as a sequel to Mythos Games 1988 Laser Squad.The game received very strong reviews upon initial release and acquired a loyal following among strategy fans. 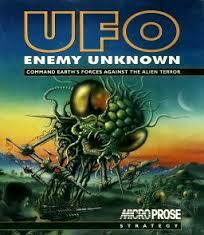 Even several publications have listed UFO: Enemy Unknown as one of the best video games ever made. Developed by Mythos Games & MicroProse Software and published by MicroProse. Little Bit of Plot/Story: Set in a near-future of the year 1998 (the game was released in 1994 after all) representatives from the world’s most powerful nations meet to discuss the issue of possible alien invasion. From this meeting is born the defense and research organization “Extraterrestrial Combat” (X-COM). Little Bit of Character: The main playable characters were randomly named, but the player could rename them to whatever they wished. You would cross paths with several types of alien like; Sectoid, Cyberdisc, Floater, Reaper, Snakeman, Chryssalid, Zombie, Muton, Celatid, Silacoid, Ethereal and Sectopod. Little Bit of Influence: The game went on to spawn it’s own successful franchise with games like; X-COM: Terror From the Deep, X-COM: Apocalypse, X-COM: Interceptor along with several others. There have also been fanmade remakes and even a full official remake called: XCOM: Enemy Unknown and a spin-off called; The Bureau: XCOM Declassified. Little Bit of Memories: The first time I saw this game was when my brother Graham brought it home. I have to admit, I found it rather dull at first. But spending more time with the game caused me to slowly learn how deep and interesting it all was. One of the most imaginative and deep strategy games ever made. Little Bit of Playability: I most definitely find this very playable today as well as the first official sequel; X-COM: Terror From the Deep. If you can get a hold of either the original or the sequel do it now. Also check out my quick “Good and bad” of the remake from 2012. This entry was posted in LBoG: Game Overviews and tagged Commodore Amiga, Enemy Unknown, LBoG: Game Overviews, Little bits of gaming, MicroProse Software, Mythos Games, UFO Defense, UFO: Enemy Unknown, Xcom on 02/06/2015 by Steve Perrin.